Incredible Four-Seat Comfort, Speed and Capacity. 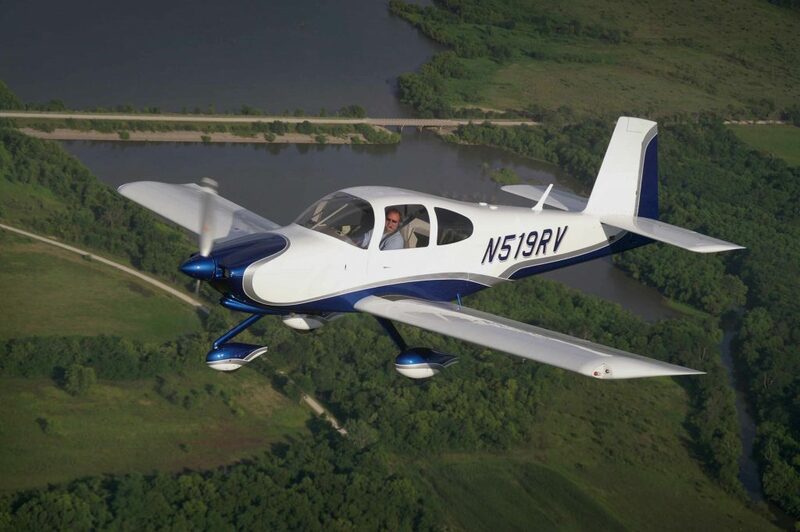 Unlike many four-place aircraft, the RV-10 will allow you to fly with four actual, full-sized adults on board - in comfort and with plenty of room to spread out and relax. It's a real hauler: Load up the family, up to a hundred pounds of baggage and a full load fuel - all while maintaining that great RV climb rate and speed. Want to get there quickly? Need to land or take off short? The RV-10 cruises near 200 mph while delivering great short-field performance, even at maximum gross weight. The performance, handling and cost of the RV-10 make it the obvious choice in the limited field of four-seat kit airplanes, and a viable alternative to four-seat production airplanes – singles or twins — as well. If your mission includes more than two people, and you like airplanes that perform and handle well, you really owe yourself a ride in an RV-10. Your Mission: Transport four people, take off and land short, get there quickly and in comfort, look great while doing it. With tricycle gear and plenty of room in the spacious cabin for four, the RV-10 will take you and the family where you want to go both quickly and in style. Weight range to correspond with engine choices. Empty weight and performance measured with Hartzell 2-blade constant speed propeller. The RV-10 is designed to fly well on various versions of the bulletproof six-cylinder Lycoming O-540 engine, developing between 235 and 260 hp. 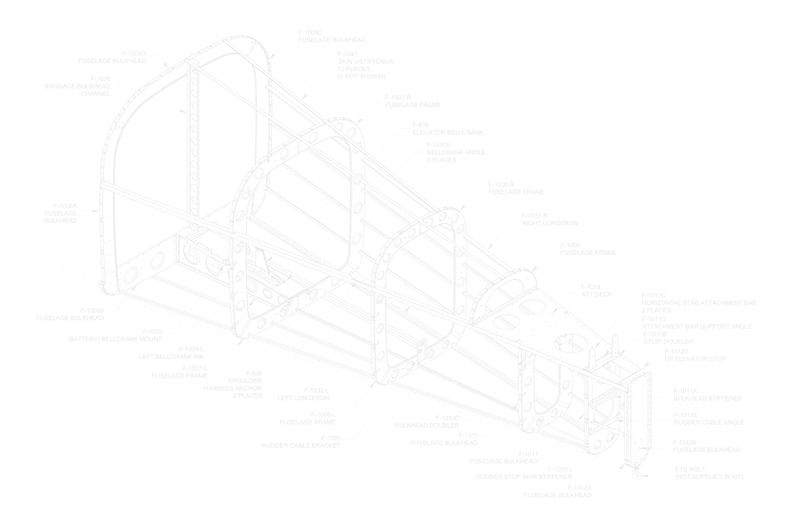 In our prototype, power is provided by a fuel injected 260 hp Lycoming IO-540. 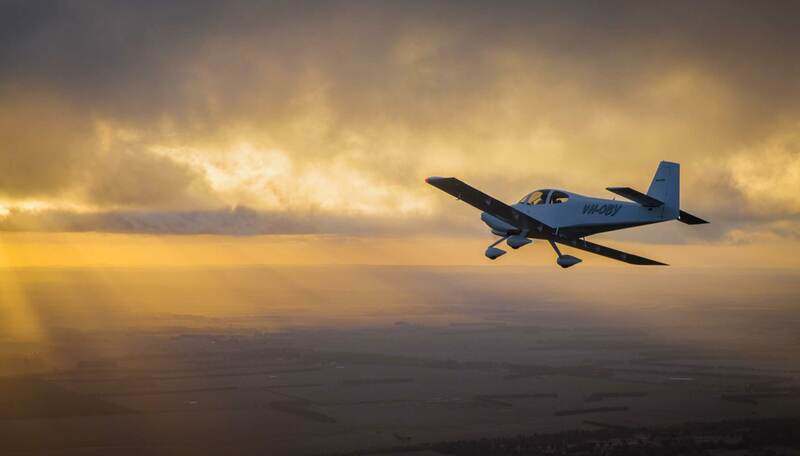 When many pilots say “performance”, they really mean “speed.” The RV-10 is quite a fast airplane – it will cruise just under 200 mph – but speed is only part of the story. 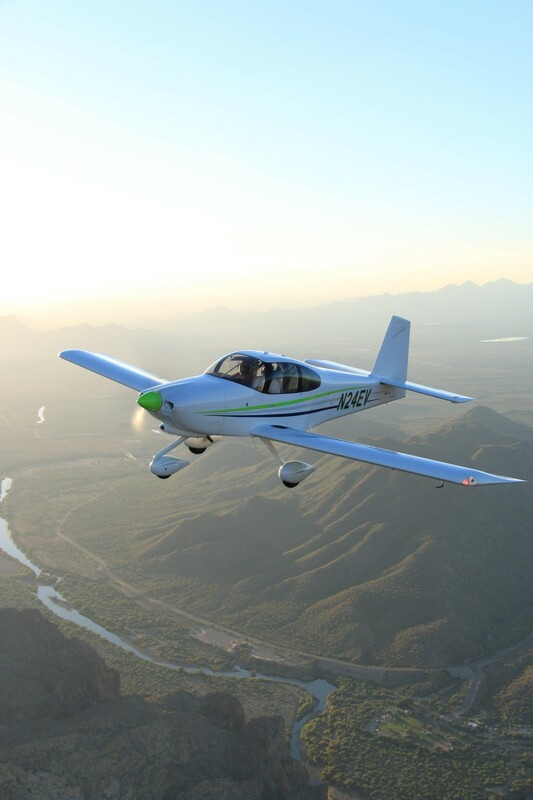 The RV-10 derives its high cruise speed from a clean, light airframe, instead of from a big, consumptive engine. This means that cruise at lower speeds can be very economical. Company pilots often choose to cruise at 50-55% power and take advantage of the economy available there. At 175 mph, the RV-10 is covering more miles per gallon than most of the luxury cars, pickup trucks and SUVs it is flying over. 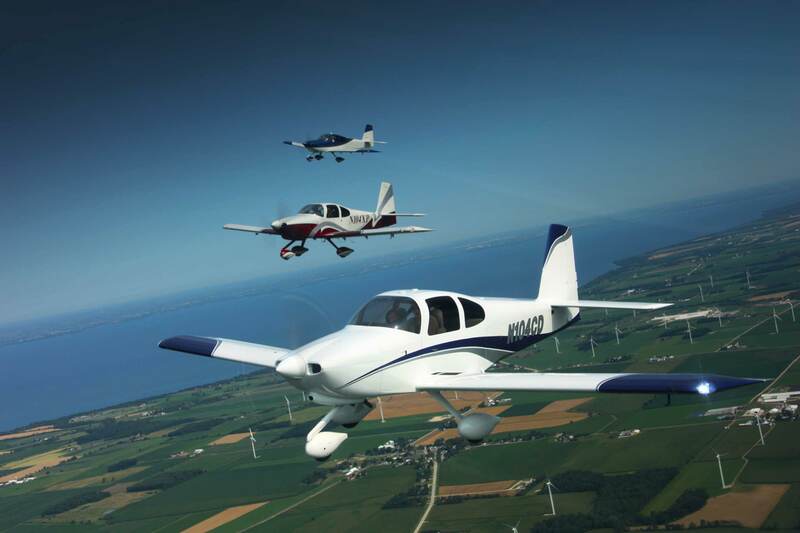 RVs are known for short-field capability and the RV-10 is no exception. Even at gross weight, the RV-10 can operate out of very short runways and climb well at high density altitudes. At the end of a flight, the generous wing area, big slotted flaps and robust steel rod landing gear allow the RV-10 to land at virtually any small airport — grass, gravel or pavement. If you can land closer to your destination, you can gain a lot of time over “faster” airplanes that must use big paved airports a long way from town. Occupant protection is an important design criteria. The composite cabin top provides roll-over protection. The cabin interior is designed around Oregon Aero seats and seat cushions, (provided in the kit) which provide the best available impact mitigation — and comfort. Like all other RVs, the RV-10 has impressively low stall and landing speeds. If necessary, it can be safely landed in very small spaces at speeds that give the occupants the best possible chance of escaping injury. The baggage compartment will accept 100 lbs of “stuff” loaded through the baggage door on the left side. If fewer than four people are traveling, the rear seat backs may be removed in a couple of minutes for extra baggage space. Up until the point at which the RV-10 was conceived, Van’s Aircraft was a two-seat aircraft company. Over time it became apparent there was a real market for a four-place RV. If we’re being honest, the decision to create the RV-10 was a big one, with some significant business risk since it represented stepping outside the then-current footprint of the business and into a new segment. The decision was made to invest the time and effort, and the company dove right in. In the end, it worked out – and quite well. With the mission of carrying four actual, real, grown adults and a full load of fuel, plus some baggage, the RV-10 was designed taking into account a number of things we’d learned from prior models. The metal portions of the kit were planned to be totally matched-hole, similar to the RV-7/9A kits we were already selling. We hoped to make the standard kits even easier to build, and of course, we knew we would eventually offer RV-10 QB kits. We knew the wing would have to be a different design that we’d used previously. We had some recent experience in thicker-chord, high-lift wing designs in the RV-9/9A. So, taking what we knew a new airfoil was chosen to best meet the requirements we’d set forth, while still ensuring we nailed Van’s signature “Total Performance” criteria. It had to perform like an RV, and it had to safely carry a real for-place load. Our RV-10 owners and pilots will tell you, we hit that target. If you were one of the folks who called Van’s about 8:30 in the morning on May 29, 2003 and the phone rang and rang … well, we had the best possible excuse. Most of the company was standing along the taxiway watching Van taxi the new RV-10 to runway 35. At about 8:40 the big six cylinder spooled up (quietly, with that big muffler) and the airplane was in the air in about 450 feet. Takeoff and climb out certainly looked like an RV! And the rest, as they say, is history.